There is no denying that American society still has a major obesity problem, as 70% of U.S. adults are overweight or obese. And, this rate is NOT declining. Obviously, demand for weight loss products and programs will be strong for many years to come. Serious medical conditions accompany obesity—diabetes, pre-diabetes, high cholesterol, and sleep apnea, to name a few. The people who have the tools and background to best deal with these conditions are physicians and nurses. However, physicians and nurses have been slow to add a weight loss program to their practice. Most MDs who do have a program are internists, osteopaths, and chiropractors. Those who don’t have a program worry about having the time to provide one-to-one counseling, hassles of insurance, offending patients by telling them they need to lose weight, and a lack of business skills to market their program. But, virtually all of these are non-issues and can be overcome. 1. The market is saturated. False: According to the CDC, only 11.7% of consumers surveyed reported that a doctor, nurse, or other healthcare professional had given them advice about losing weight. That leaves LOTs of untapped potential and room for growth. 2. Physicians and nurses can’t compete with large commercial diet companies like Weight Watchers. False: MDs have a built-in clientele that knows and trusts them. As a result, MDs don’t need to spend large sums on marketing and advertising to attract customers. 3. MDs don’t have the business skills needed to compete. False: Training IS available, and there are several reports and consultants that provide this training. 4. Medical professionals must purchase a franchise to have any chance of success. False: MDs and nurses can launch their own program for a fraction of the price of a franchise, and have the freedom to customize a program to their local area and patients, without paying royalties. 5. 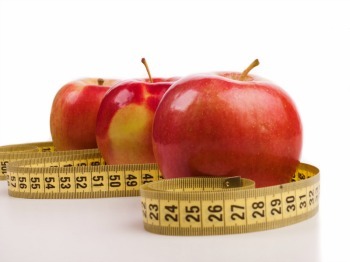 Physicians don’t have the time to do day-to-day weight loss counseling. False: By delegating this task to staff such as trained nurse practitioners, an office manager, and part-time RDs, the MD plays a supervisory role and does not have to take much time away from their primary practice. 6. Weight loss programs are not profitable. False: Part-time medical weight loss programs realistically add $250,000 per year in income (80% profit margin), and full-time dedicated weight loss centers gross $1 million or more, (50% profit margin). The “average” medical weight loss clinic grosses $556,000 per year. 7. Prescription diet drugs are risky and have side effects. There’s too much liability involved. False: Rx appetite suppressants such as Phentermine (brand names: Fastin, Pondimin, Adipex-p, and Ionamin) have been safely used for decades, and are very affordable. Using diet drugs is optional. Physicians and nurses are leaving a lot of money on the table by not getting involved in weight loss. They are uniquely qualified to serve obese and overweight patients, and should embrace the opportunity. To learn more about this topic, see Marketdata’s guide How to Set Up a Profitable Medical Weight Loss Program.